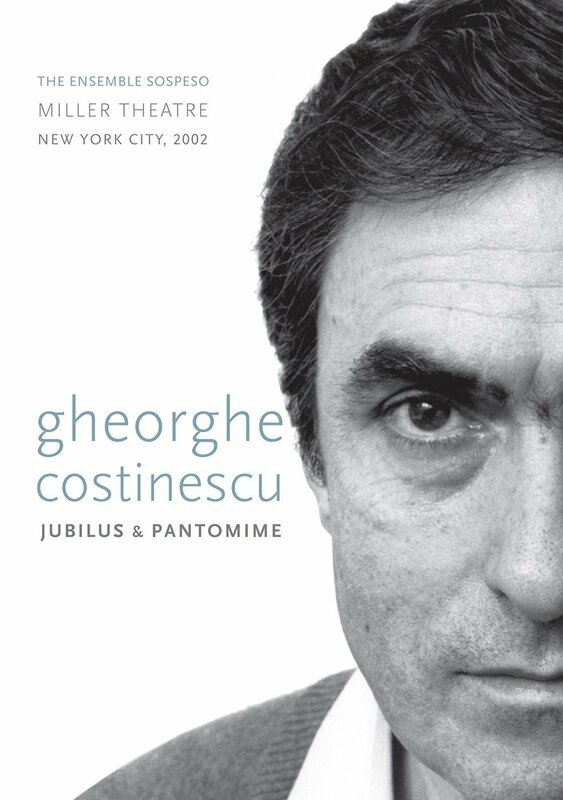 Jubilus & Pantomime is a full-length performance DVD . Jubilus, written for soprano, trumpet, and percussion is an expression of physical and spiritual rejoicing hailed as “a work of enormous vitality and originality” (Pittsburgh Post-Gazette). Pantomime for chamber orchestra is a choreographic work for 15 musicians featuring movement dictated by musical patterns. 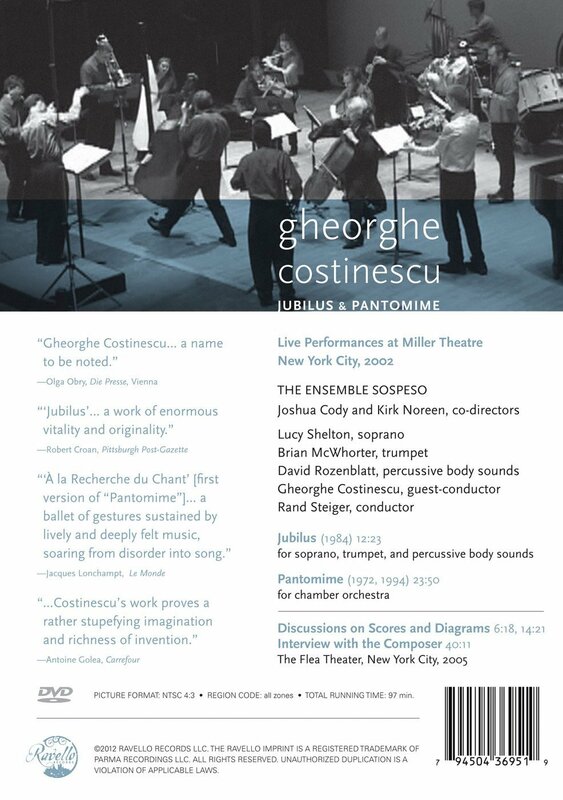 Post-performance video includes discussions on the scores and diagrams, and an interview with the composer.